Build your own portfolio with an intelligent profit model and reinvestment strategy that grows your investments almost exponentially creating a maximum token value. As an illustration, an investment of $12 million for the acquisition of 4 acres of raw land is re-zoned within a year, with a concept, approval and survey. The increased usefulness of the land created additional value that allowed the land to be sold for $30 million, producing 150% gross return on investment. The new owner enhances the value of the re-zoned land by developing a subdivision on the 4 acres. 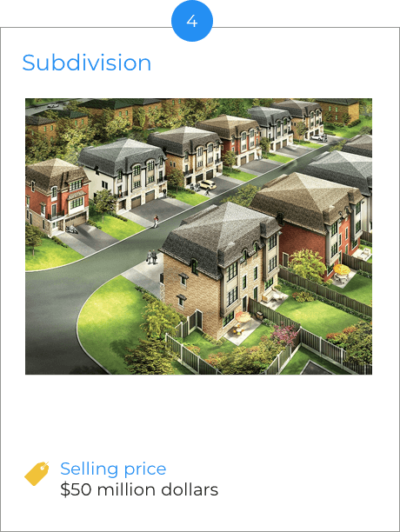 Within 3 years, the new subdivision is sold for $50 million generating a gross rate of return in excess of 67%. 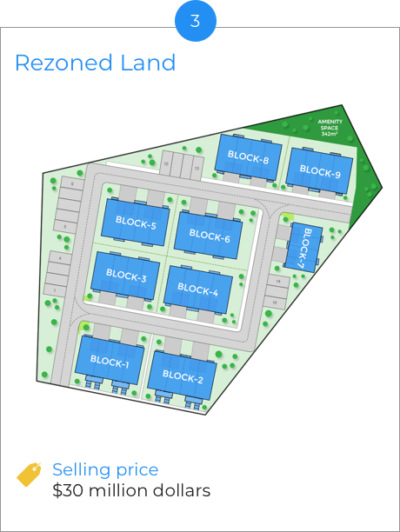 From the initial purchase to the sale of the subdivision, the 4 acres of land generated over 300% gross return. Return on investment and project duration figures stated in the examples above are estimates and should be used for illustration purposes. Actual results can vary from these stated numbers as they are contingent heavily upon the nature and conditions of the specific project and economic environment. In no manner does Devolve Developer guarantee these returns and duration times. The model should not be regarded as an offer of solicitation to buy tokens or as information for an investment in tokens. Real estate development is the method of creating value by developing land or constructing tangible property enhancements. Each of the five types of real estate developments have their own investment strategy, risk-weighted profit ratios and duration. Undeveloped land previously used for agriculture, landscape design, or evolves naturally. 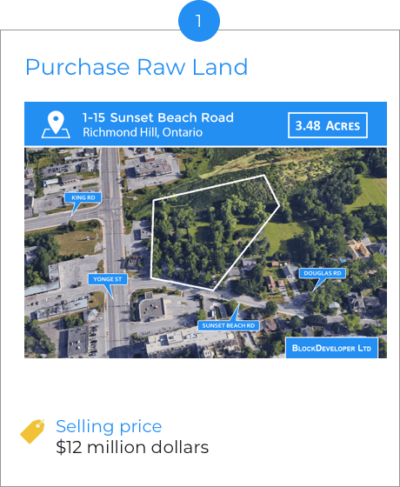 A single piece of land that is divided into smaller lots that can be either developed upon or sold individually. Property no longer feasible for their current use and requires upgrading. Enhancing an existing structure by improving its use. Implementation of city approved residential, commercial or industrial development projects. You can select from a myriad of real estate ventures that ranges from short term projects with rapid realization of rewards to long term projects with great capacity for reward. Devolve Developer created a burgeoning portfolio of diverse institutional grade development projects. Thorough due diligence is applied to each project before being added to the Core Portfolio and made available on the Devolve Platform. The Development Project Rewards Program allows token holders to allocate their DVX tokens towards their selection of development projects that generate rewards in the form of additional DVX tokens at no additional cost. 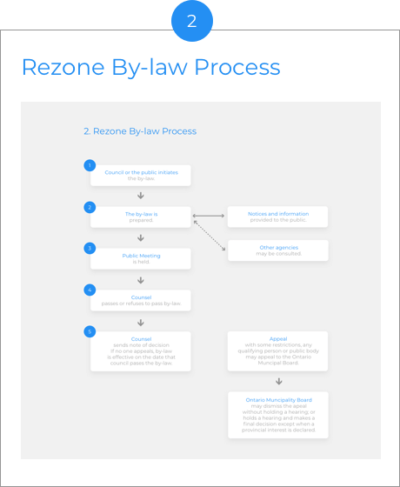 With the flexibility to participate during any phase of the development cycle and control your contributions by entering and exiting at any time, Devolve Developer designed three easy steps to start earning rewards. Create your own personalized portfolio by choosing from among the international development projects in our Core Portfolio. Each project will exhibit their inherited characteristics such as type of development, project duration, geographic location, market analysis, risk adjusted profitability, project development status and contribution guidelines. Analyze and compare development strategies and choose the projects that best suit your investment strategy. Devolve Developer provides tools and benchmarks to assist with your allocation determination. Ascertain the amount of DVX tokens you want to earmark towards each of your selected projects to immediately begin earning rewards. These rewards can be reinvested in the current project, allocated to other projects, traded through exchanges or held for future allocations. Smart contract technology allows you to manage your portfolio by receiving project status updates, rewards information, new project announcements, portfolio performance information and much more. With total control over your portfolio, you can start or end your project contributions at any time without penalty. Additionally, you can optimize your portfolio by re-allocating your tokens to create superior portfolio performance. Token holders will enjoy the benefit of DVX token distributions when participating in the Development Project Rewards Program. Profits from development projects will be tokenized into rewards and attributed to project participants. Token holders can claim these rewards by allocating their DVX tokens to available development projects. Any rewards not redeemed will be re-invested into future development projects ensuring the solid growth of the program, increasing the value of the DVX token and sustaining exponential rewards. To reflect market conditions and project progression, development projects will be re-assessed on a frequency deem reasonable based on the project type and strategy. Contingent upon the timing of contributions, the rewards awarded from each development project will be based on a diminishing scale. The earlier you participate, the more rewards you will secure. ◊ Contingent upon the nature of the development project, the contribution period can be divided based on time or development phase. *Token holders are entitled to the percentage of rewards for the duration of their token allocation in the selected project. Figures stated for development project’s rewards and durations are estimates. Actual results can vary from state numbers as they are contingent heavily upon the nature and conditions of the specific project and the market. Please use these numbers for illustration purposes. Our preeminent risk-reward framework assesses development project to minimize risks and maximize rewards. Although a vastly profitable investment strategy, real estate development can endure substantial losses if ineffectively measured. Contrasting traditional valuation techniques, Devolve Developer utilizes sophisticated mathematical and numerical tools to model and assess the potential value added and associated risks with undertaking development projects. In addition to evaluating macroeconomic variables, our risk algorithm incorporates key parameters that drive the value of vacant land, residential zoning, constructing subdivisions and apartment buildings or land banking. Paul Samuelson’s model – Samuelson McKean Model – is one of several models used to evaluate projects by assessing the up side and down side potential and in determining the primal time to develop and the optimal type and the ideal size of structure to build. By mitigating the inherent, residual and contingent risks and we provide the confidence required for project engagement decisions that conclusively create profitable opportunities for token holders with measured risk.